At DRS we are more than just a large format printer we have become the go to resource for contractors and blueprint reproduction. We have over 25 years of hands on construction experience, which means we talk your language. We know what matters to you in your print as an architect, engineer, designer or builder. Over the years the need has been simple – a great product at a great price. We deliver, every time and now even faster. In 2018 we have rolled out a brand new machine that allows us to print up to 30 pages a minute in any order of color and black and white. The quality and detail is spot on. With the efficiency of the machine and our staff – we are able to print same day or often times while you wait. Best to call ahead if you prefer to wait so we can time it accordingly! We specialize in CAD drawing reproduction. Our state of the art process can provide you with fast and efficient service. We can archive your files for up to 6 months at no added charge which can save your company both time and money. For the field, you can have your drawings laminated to protect them from the elements. We can also laminate your mounted drawings and renderings! Learn more about our Cruse Scanner to archive your old blueprints, then print on demand. Some of our clients even will take their old prints and create custom art by printing on acrylic, wood, canvas and other materials. 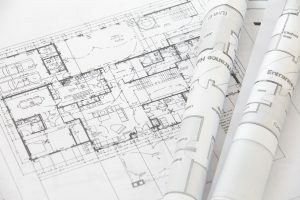 WHY USE DRS TO PRINT YOUR BLUEPRINTS? When dropping off work. You are working with person who is printing blueprints. They know what to look for. Whatever your need is, we make sure we meet your standard. Understand the product and the market. Boasting a new 40 inch wide machine, upgraded from the standard 36 inch model. 30 pages in 1 minute. Same day printing, typically within the hour. Whatever color scheme you want in that order (B&W, Color). The DRS Philosophy: We take pride in the output of our work. Prices starting at $0.45 per square foot. 1 or 1,000, volume discounts available. 9 out of 10 times we beat our competitors prices! At DRS we proudly serve a variety of local contractors, architects and engineering companies throughout Bucks County and Montgomery County including Doylestown, Warminster, Perkasie, Newtown, Warrington and Lansdale areas for all their blueprint needs. Our client base is national for all our contractor services, contact us for more information on a custom quote for your blueprint printing needs.